A cut lock doesn't augur well for one bicycle owner who parked at the UA Student Recreation Center, ranked as a top spot for bike thefts. Elliot Montgomery hopes his hard work on a project while a student at the UA will make the campus a safer place. 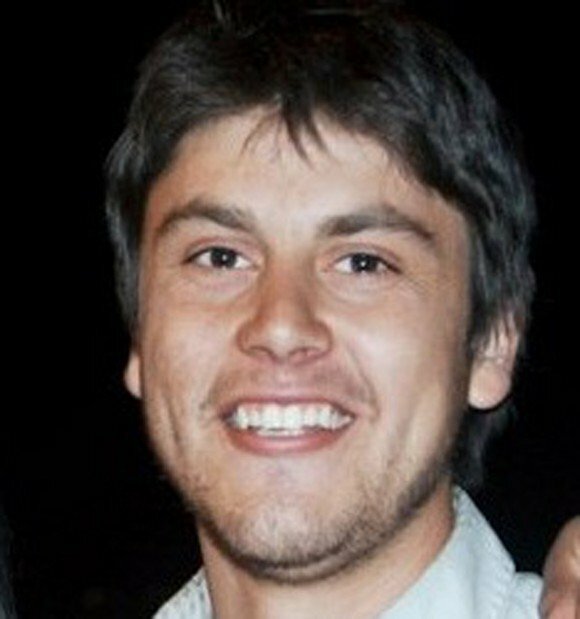 Montgomery, who graduated with two engineering degrees from the University of Arizona in May, spent more than six months requesting and analyzing campus bicycle-theft reports from 2006 to 2011 to find where students were most likely to have their bikes stolen. His independent research of hundreds of records and meticulous plotting on maps resulted in what may be the first-of-its-kind report at UA. Montgomery's color-coded maps and database show which buildings on campus have the highest number of bike thefts and, using mathematical probabilities, where students are more likely to have their bikes stolen. His records also show which months have the highest number of thefts. "I thought this project would be serving justice to all who had their bikes stolen," he said. "I thought: 'I could do this. This needs to be done. This has to be done.' "
Montgomery presented his findings in mid-April to officials from the UA Police Department, UA Parking and Transportation Services, the Pima Association of Governments and UA Planning, Design and Construction department. Parking and Transportation officials were so impressed they're going to use his findings as a guideline to track thefts at specific buildings and will even consider his suggestions, such as posting warning signs in high-risk areas. Before Montgomery's analysis, the department did not have records of bike thefts broken down by each campus building, said Charles Franz, program manager of alternative transportation for the department. Campus police said they keep a tally of bike thefts based on the number of incidents reported. "Now we have strategic locations we can zero in on," Franz said. The idea was conceived in 2009 while Montgomery was part of a sustainability group at the UA, he said. Someone in the group made the suggestion. "We had the idea of finding out where the bike thefts were occurring and moving the bike racks to a safer location," he said. The group never pursued the project, but the idea stayed with him after he left the group. He was also driven by a desire to do public-works projects and considers the project a "gift" to the university, he said. Plus, his own bike was stolen from his apartment complex in 2007. Last May, he began requesting bike theft records from UAPD and sorted through addresses of each campus building to find out how many thefts occurred at those buildings in those five years. "It wasn't hard mathematically. It was hard just organizing," he said. During that time, Montgomery worked for Parking and Transportation Services and participated in a bike count survey. "That's when I found out they had a GIS map of all the bike racks," he said, referring to geographic information maps. "The goal was to make a map and color-code the buildings that are more at risk than others." Montgomery received help from Grant McCormick, a campus planner with the Planning, Design and Construction Department, who created the map. Montgomery finished analyzing the data in January. • September, not surprisingly, is the busiest month for bike thieves, with an average of about 40 thefts during the month since 2006. On the other hand, June had the lowest number of thefts. • Among buildings, the campus recreation center was at the top of the list with an average of about 16 thefts per year, followed by the Main Library with 14.5 per year. • Overall, there were 225 bike thefts campuswide in 2011, down from 386 in 2010 and 423 in 2009. Campus officials confirmed the numbers and credited the decrease to several bicycle programs. The campus has a bike valet program that allows students to park at a secure location for free, and a bike station that allows students to register their bikes and get help with minor repairs. And roaming bike ambassadors show students how to lock their bikes. "Even though it's getting good, we can do better," Franz said. Here are the top 10 locations for bicycle thefts reported to University of Arizona police from 2006 to 2011. 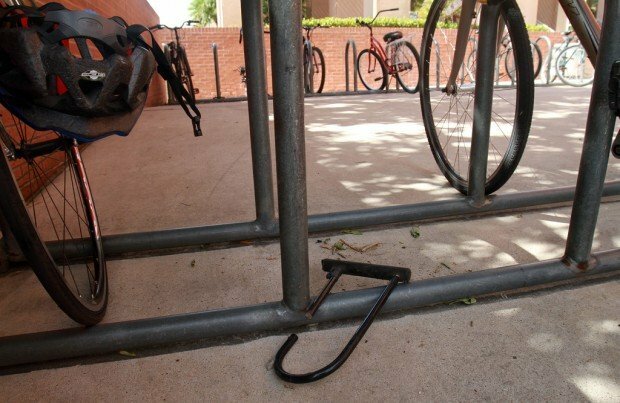 Here are monthly totals of bike thefts reported at the UA from 2006 to 2011.